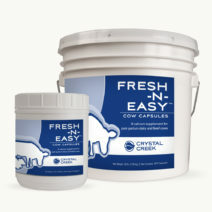 Crystal Creek’s® Pasture Mineral is a fully fortified mineral and vitamin supplement that is built to the same high standards of the Crystal Creek® 2:1 mineral. 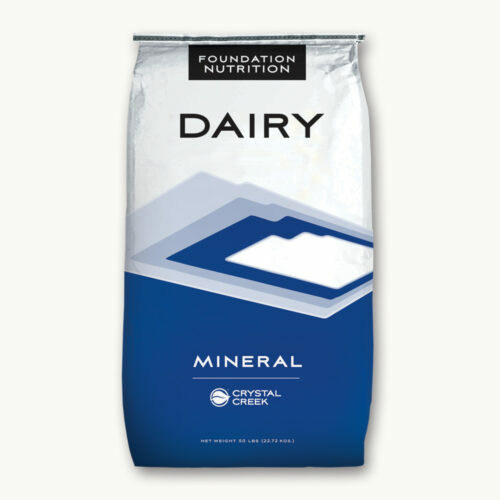 However, the Pasture Mineral contains higher levels of magnesium to better meet the specific needs of cattle on a low magnesium ration. 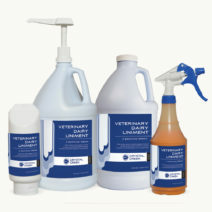 • Any ration that is low in magnesium due to low magnesium forages. • For cattle on early spring pasture when forage magnesium levels are low. Pasture Mineral (no salt) can be blended into grain mixes and added to a TMR ration. Pasture Mineral (no salt) can also be fed free choice next to loose salt, but only when a balanced ration is being fed that already contains an adequate mineral and vitamin formula.